American Tropics: The Caribbean Roots of Biodiversity Science. Chapel Hill: University of North Carolina Press, 2017. American Tropics explores the relationship between field ecology, the expansion of U.S. hegemony in the circum-Caribbean region during the twentieth century, and the emergence of the modern concept of biodiversity. Biodiversity has been a key concept in international conservation since the 1980s, yet historians have paid little attention to its origins in tropical fieldwork. Considering U.S. fieldwork from the era of the 1898 Spanish-American War through the anti-colonial movements of the 1960s and 1970s, my book explains how ecologists took advantage of U.S. landholdings in the circum-Caribbean to establish field stations for long-term, basic tropical research. At sites in the Panama Canal Zone, Cuba, British Guiana, Jamaica, and Costa Rica, a growing community of American “tropical biologists” developed both the key scientific concepts and the values embedded in the modern discourse of biodiversity. American Tropics combines the history of science, environmental history, and the history of U.S.–Caribbean and Latin American relations to demonstrate that working at tropical field stations shaped both how U.S. biologists worked and how they understood the diversity of tropical life. In an important shift from earlier practices of expeditionary science, permanent field stations acted as colonial outposts of U.S. science, enabling biologists from the North to access tropical organisms while living in comfort, health, and safety. These new institutions also allowed visiting researchers to access and study living tropical organisms in new ways. Studying life in place, over time helped scientists build up a deeper knowledge of the natural history, behavior, and ecology of many tropical species that had previously remained unknown to outsiders. Focused in situ research also enabled researchers to develop intensive monitoring and censusing practices that are still important today. For example, in the 1920s and 1930s, camera trapping on Barro Colorado Island, Panama, uncovered rare and hard to document species and helped to reveal population fluxes over time––an especially significant finding given assumptions that tropical forests were ancient, stable, and unchanging. By the 1950s and 1960s, tropical researchers also increasingly developed quantitative field methods to study what they called “species diversity”––the number of species in a given area––and compare the ecologies of different field sites. This concept was a direct precursor to our contemporary idea of biodiversity. Caribbean field stations did not just transform scientific ideas about the diversity of life, however. They also shaped how we value that diversity. Maintaining support to keep stations operating was often difficult. Tropical biologists had to secure funding, transportation, local labor, and access to suitable land. This meant developing strategies to link support for basic tropical research to the interests of the U.S. government agencies and corporations that dominated regional economies and politics. 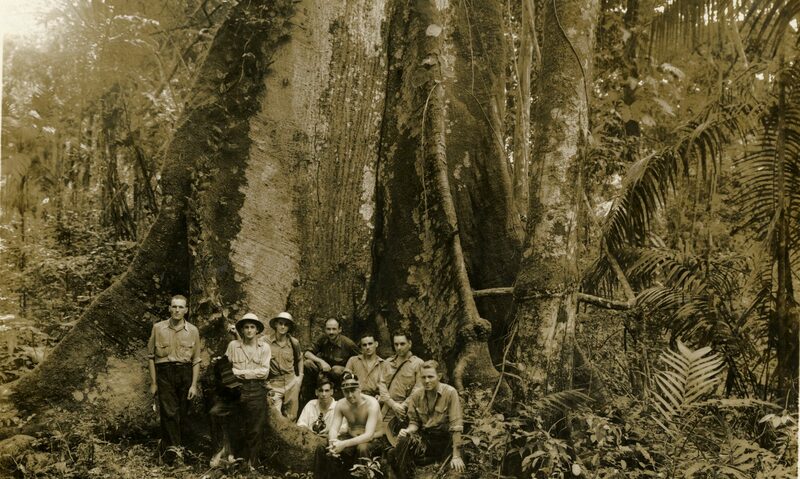 Often, U.S. biologists connected basic ecology to questions of applied tropical agriculture and medicine. By mid-century, however, they also began to make a new argument: the diversity of tropical life was itself a resource. Rather than tie their professional concerns solely to a few economically significant commodity or pest species, tropical biologists began to frame the large numbers of unknown tropical species and their complex, little-studied ecologies as the most important source of untapped potential in the tropics. After all, who could say what new materials or medicines might lie undiscovered in the world’s rainforests? Today we are used to this argument as a rationale for the conservation of global biodiversity, but American Tropics demonstrates how its roots lie in tropical biologists’ efforts to secure patronage in a context of U.S. hegemony in the twentieth-century circum-Caribbean. In fact, I show that it was only after this hegemony was challenged in the 1960s and 1970s that tropical biologists vocally tied tropical species diversity to environmental conservation. As revolution swept Cuba and protests erupted in Panama, U.S. tropical biologists confronted a sudden loss of access to their field sites. They responded by realigning themselves, creating new organizations and taking new steps toward international collaboration. They also recast their justifications for basic research at this time, de-emphasizing U.S. interests in tropical resources and focusing instead on international development and the conservation of biological diversity. This history matters today, in part, because much research on tropical environments remains concentrated at several of the stations I analyze––institutions where U.S. researchers still outnumber those from Latin America. As I explain, this geographic and demographic distribution profoundly affects both scientific equity and how we understand the diverse environments of the global tropics today. American Museum of Natural History Research Library and Department of Ornithology, New York, NY. Arnold Arboretum Archives of Harvard University, Jamaica Plain, MA. Fairchild Tropical Botanic Garden Special Collections, Coral Gables, FL. Harvard University Archives, Cambridge, MA. Johns Hopkins University, Ferdinand Hamburger Archives, Baltimore, MD. Missouri Botanical Garden Archives, St. Louis, MO. National Academies Archives, Washington, DC. New York Botanical Garden Mertz Library Archives, New York, NY. Princeton University Library’s Manuscripts Division, Princeton, NJ. Rockefeller Archive Center, Sleepy Hollow, NY. Smithsonian Institution Archives, Washington, DC. Smithsonian Tropical Research Institute: Barro Colorado Island and Earl S. Tupper Tropical Sciences Library, Panama City, Panama. Wildlife Conservation Society Library and Archives, Bronx, NY.